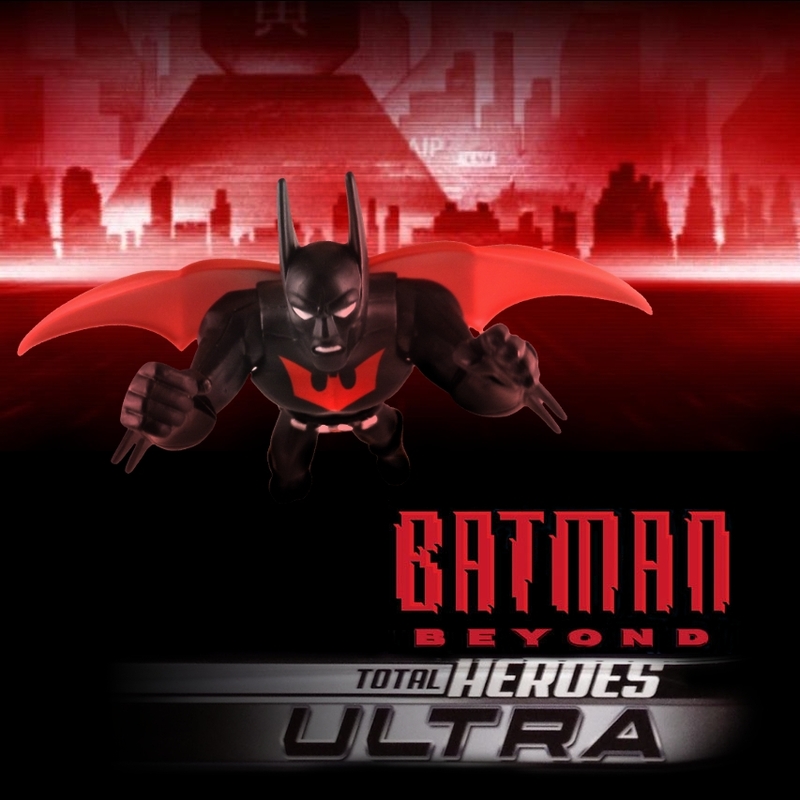 The Batman of the future is here today in DC’s Total Heroes Ultra line! 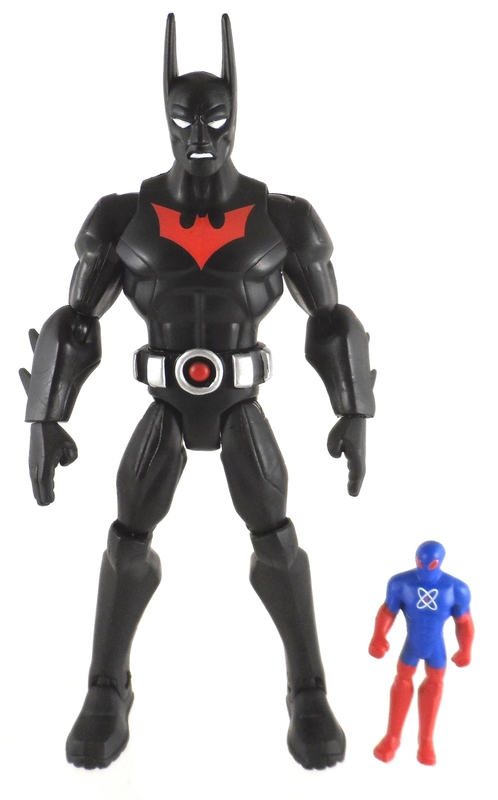 A Matty Collector exclusive, the Total Heroes Ultra line has more accessories than the regular retail line. 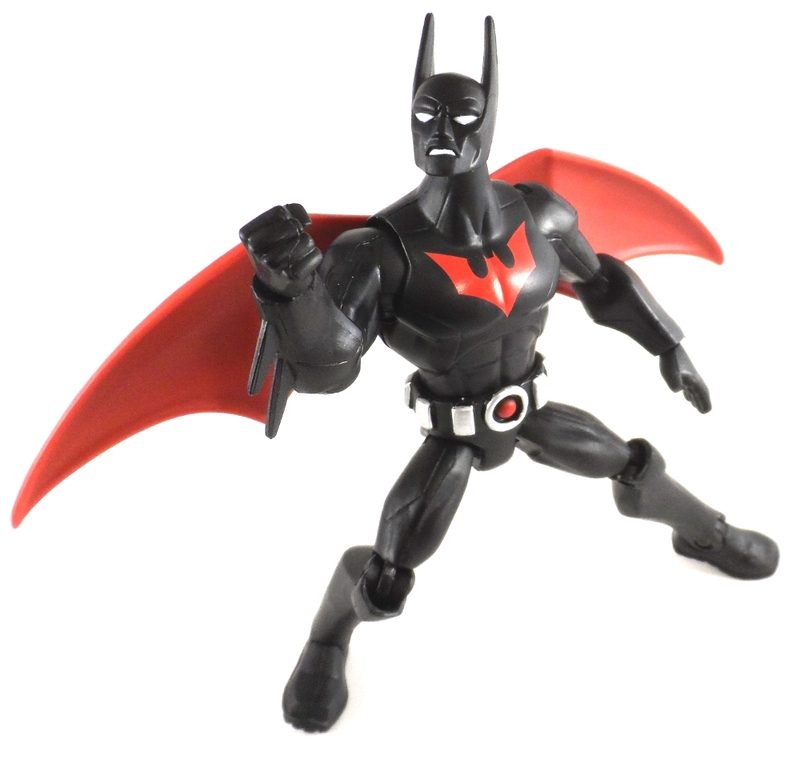 Read on to see more of this Batman Beyond figure. 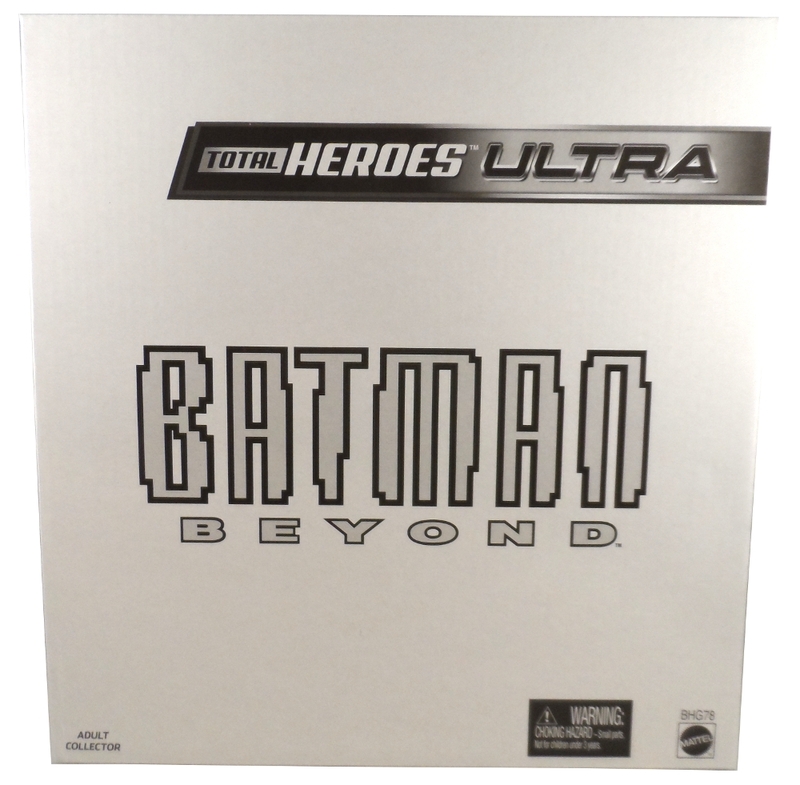 Batman comes packaged in a typical white mailer box you see most Matty Collector toys come in. 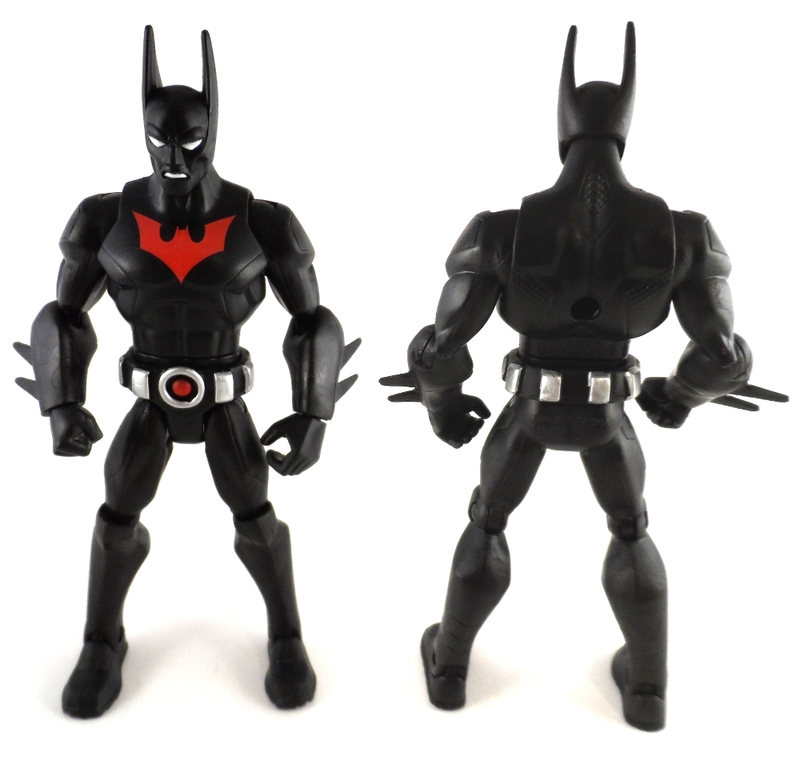 Here you can see the basic Total Heroes body sculpt with Batman styled lower arms, Batman Beyond Head and Belt. 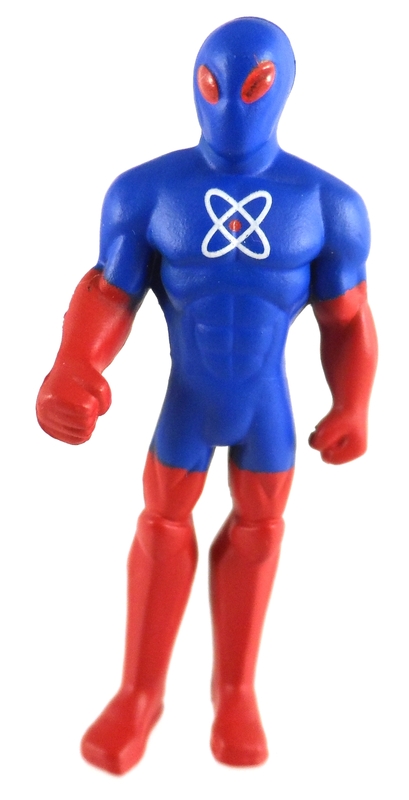 Paint is minimal on this figure with only the Belt, chest symbol and eyes and mouth getting paint apps. 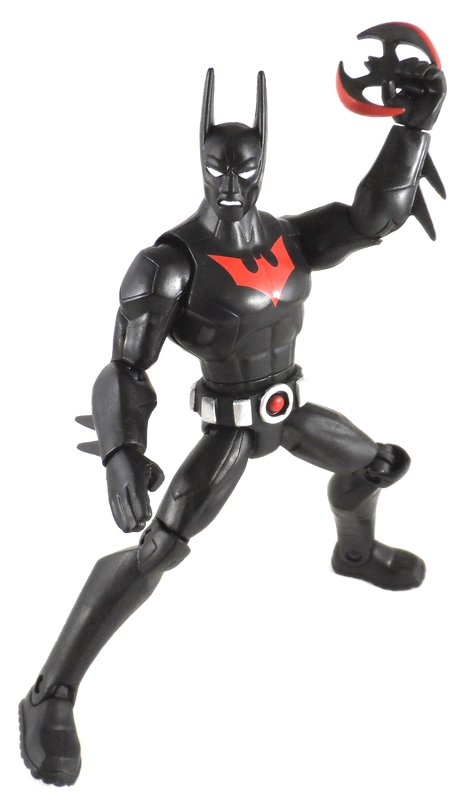 Batman Beyond comes with 3 sets of interchangeable hands. 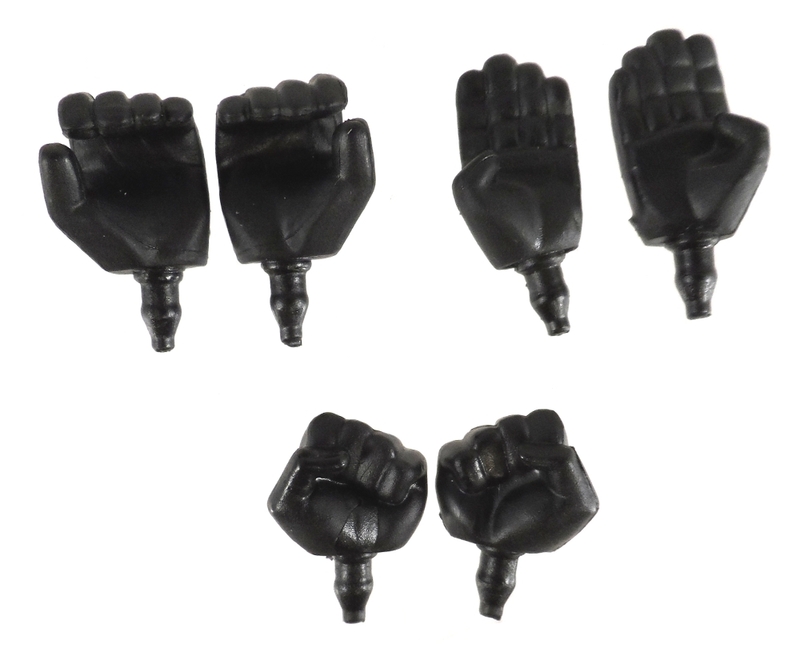 You have gripper hands, flat open hands and fists. The different hands add a nice feature to the figure to allow different looks in the poses. 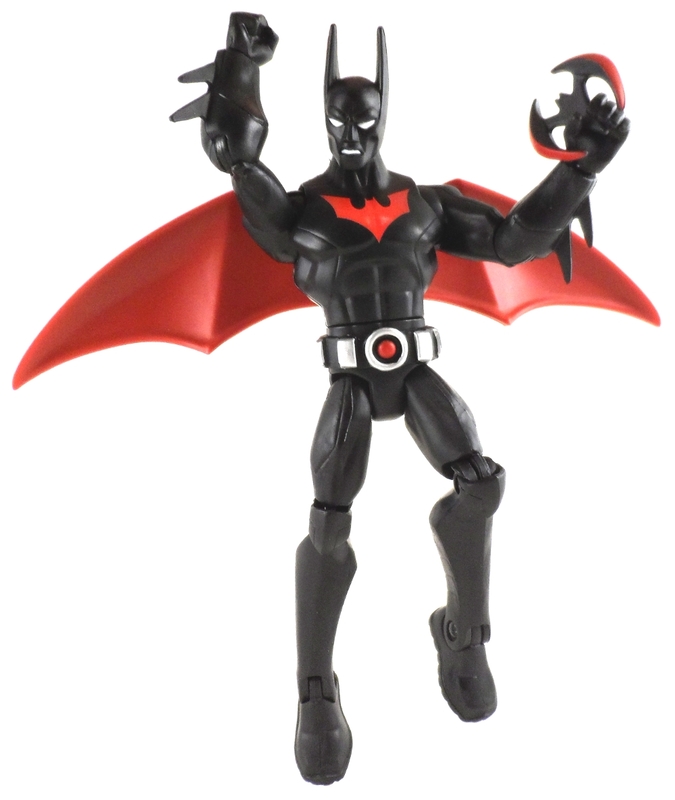 Included with the multiple hands are 4 Batarangs and a mask. 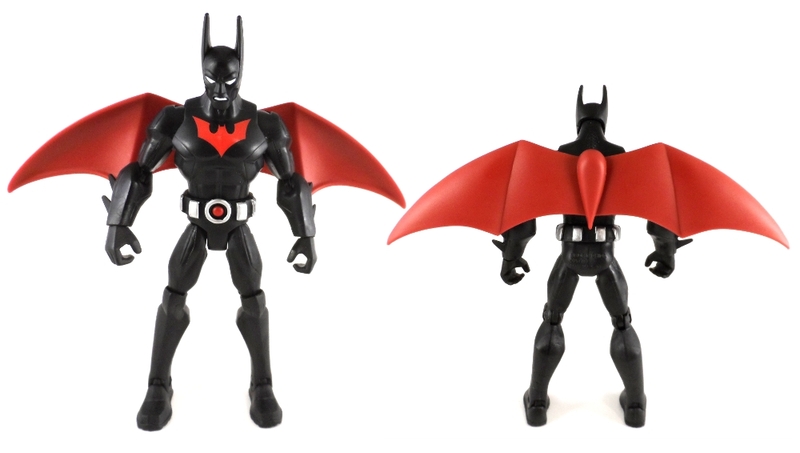 I like the sculpt of these Batarangs, in the past they’ve been pretty flat, but these have some thickness around the edges that gives the sculpt an extra dimension . 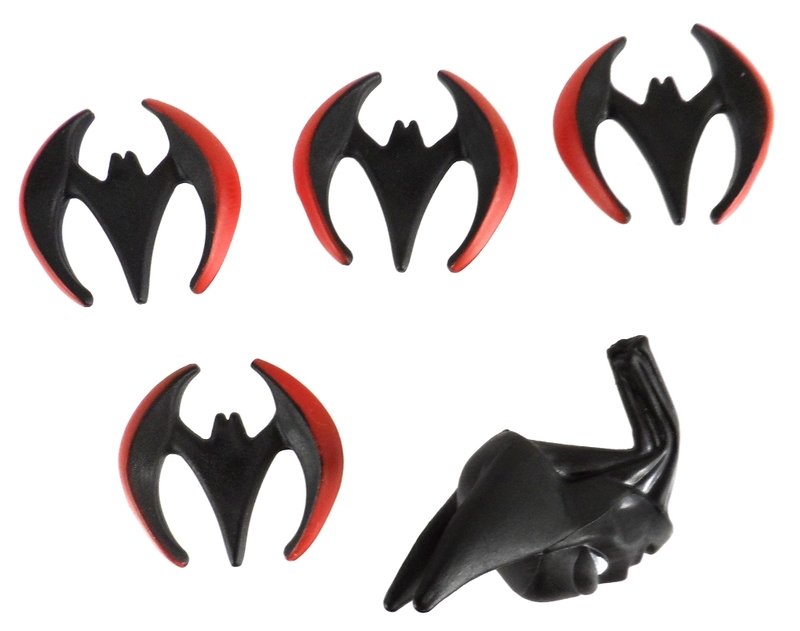 The Batarangs can sit in the gripper hands but fall out easily. Pointy fingers hand. Make one hand with the two first fingers extended. This could be used as Batman’s microphone fingers or you can have him touching the side of his head as he usually did when talking to Bruce Wayne. If you have the two extended fingers right next to each other (as one solid piece of plastic) the hand could also be used for pointing. This hand alone could add a whole new level of character and posing to the figure. 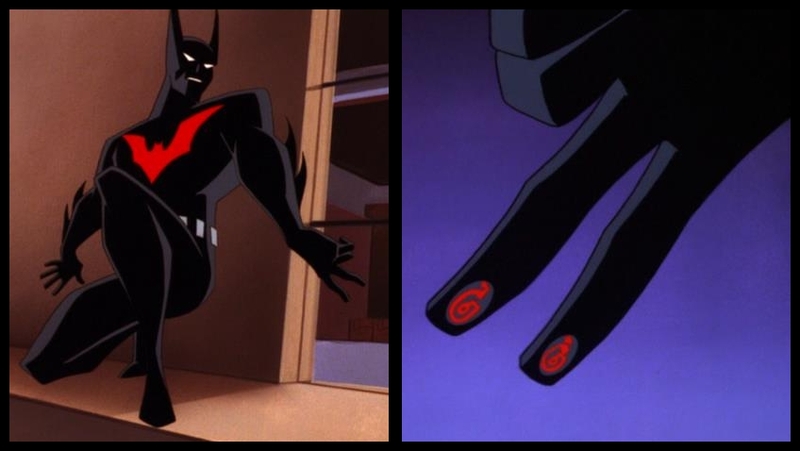 The next hand I would’ve liked to see is a Batarang hand. 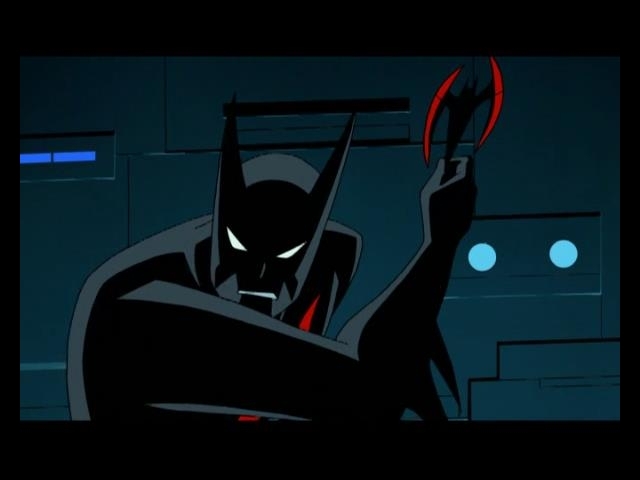 In the screencap from the cartoon above, you can see that the hand shape when holding a Batarang is fairly specific. 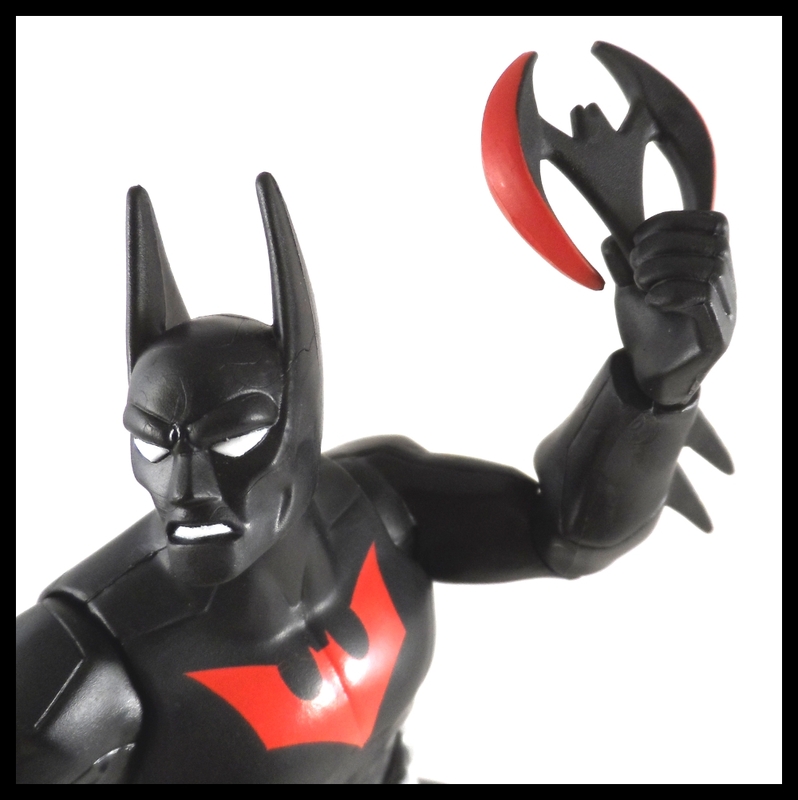 While you can squeeze the Batarang in between the thumb and forefinger of the gripper hands, it’s just not quite the same. This hand wouldn’t have as many multiple applications as the pointy finger hand I suggested, but it would still add to the toy. 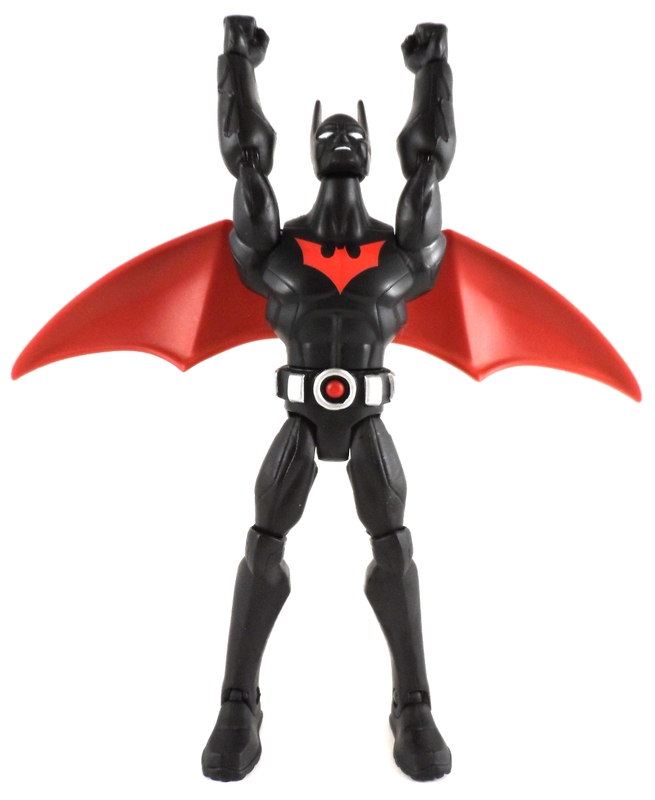 As for the Batarangs themselves, I don’t see why we need 4 full Batarangs. I really would have liked to see two of them in their folded up position before the wings are deployed as seen in the screencap below. 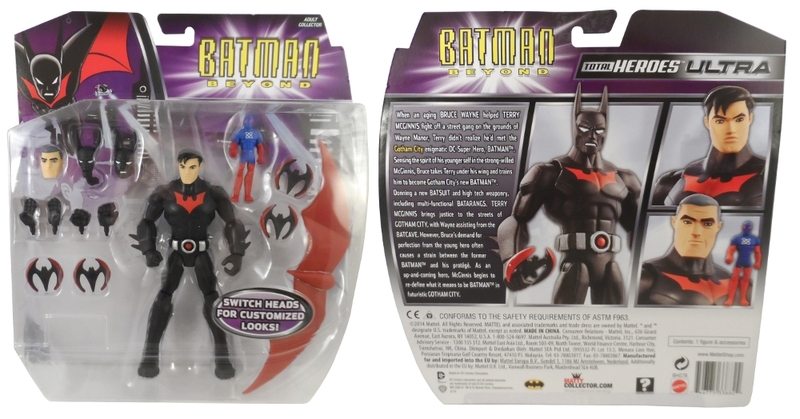 Batman Beyond comes with three separate heads, Masked head, Older Bruce Wayne head & Terry McGinnis head. 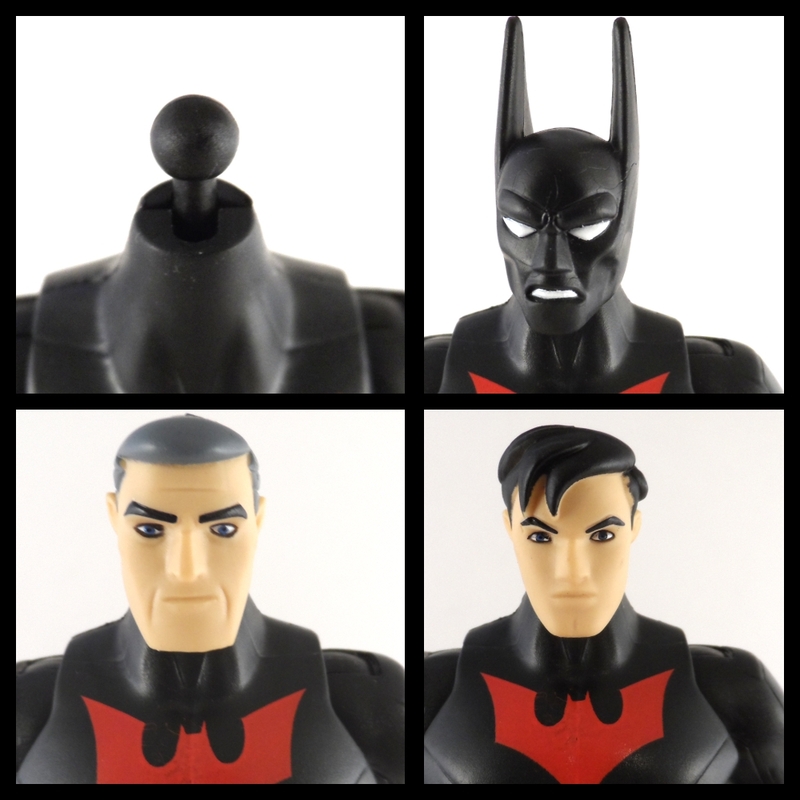 The heads are a semi-soft plastic that makes it easy to pull off of the swivel/ball jointed neck. The neck joint is a little too loose with the swivel action, so sometimes the head will fall forward, but it’s only a small degree and typically the head will hold the pose with a little fiddling. 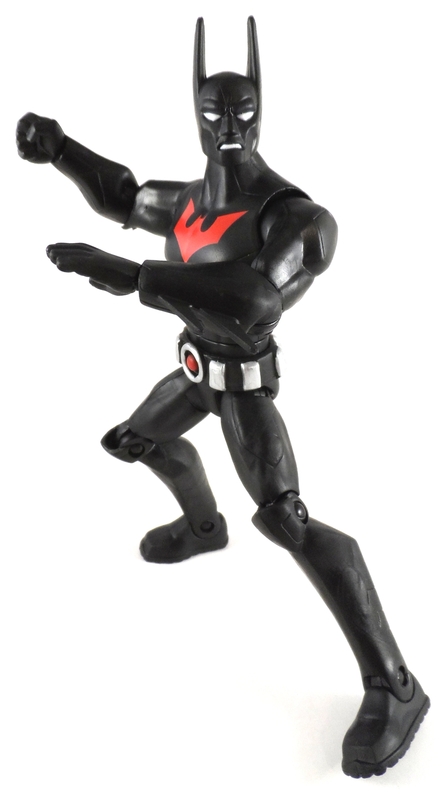 The Terry McGinnis head looks much like it does in the cartoon and added with the mask accessory gives you a solid figure of an unmasked Batman Beyond. 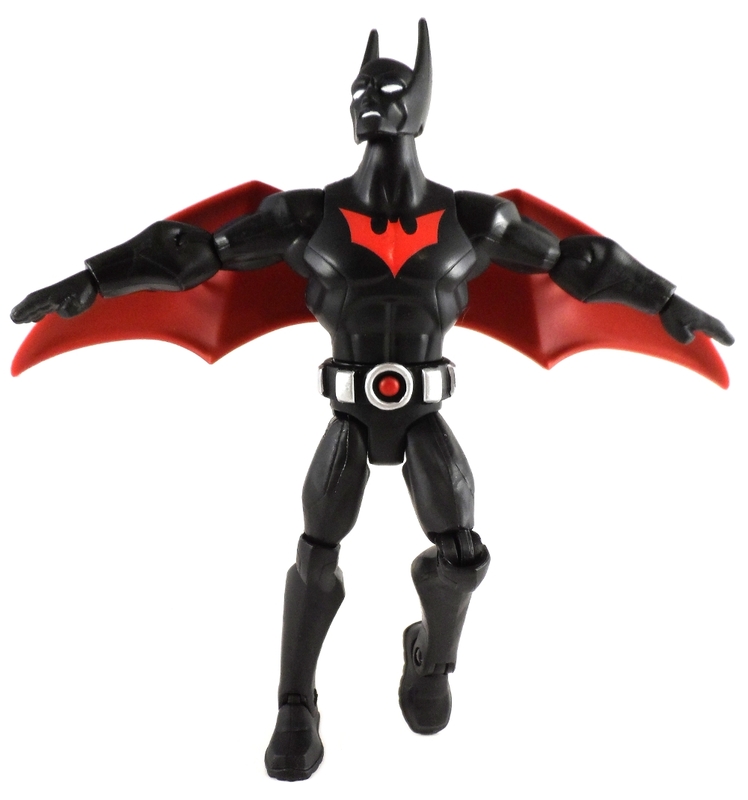 Batman Beyond also comes with a wing attachment that plugs into the hole on the figure’s back. Throughout the series, the wings have been inconsistent in that they are either attached to the arms and back or just the back. This piece does a good job of recreating the attached to the back look the wings have in the cartoon and adds to the posing and look of the figure quite a bit. I would have liked to see the outer side painted black, but I can understand the cost reasoning for one less paint app and it’s not really a deal breaker or anything. 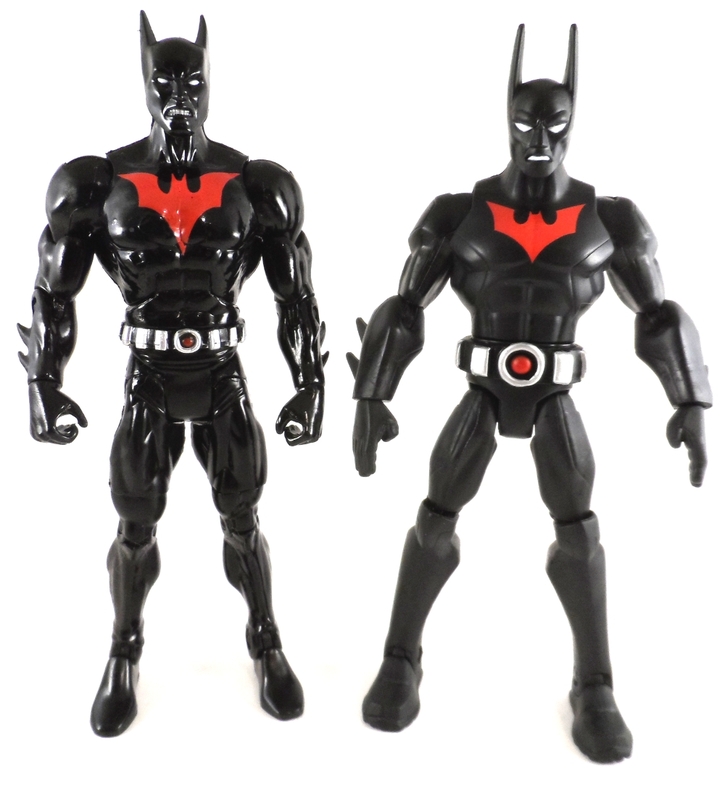 Compared to the DCU Batman Beyond, the Total Heroes version may not have nearly the same amount of articulation (even discounting the DCU’s fused hips) but it does capture the animated look much better than the DCU figure does. 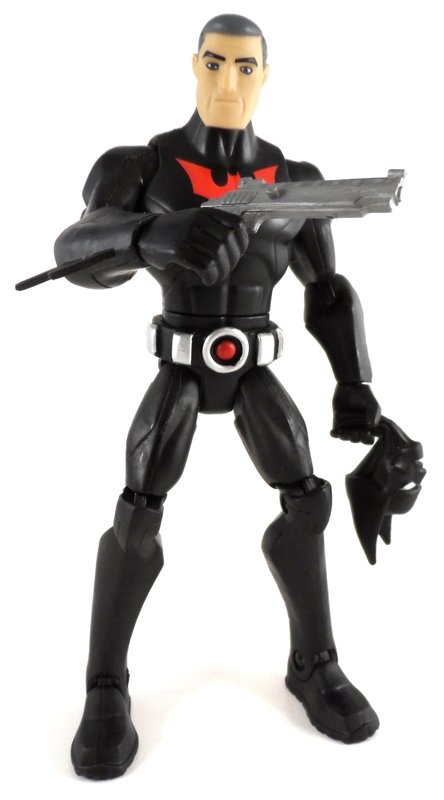 Since I know Batman Beyond more from the cartoon than the comics, I can appreciate the Total Heroes figure a lot more. 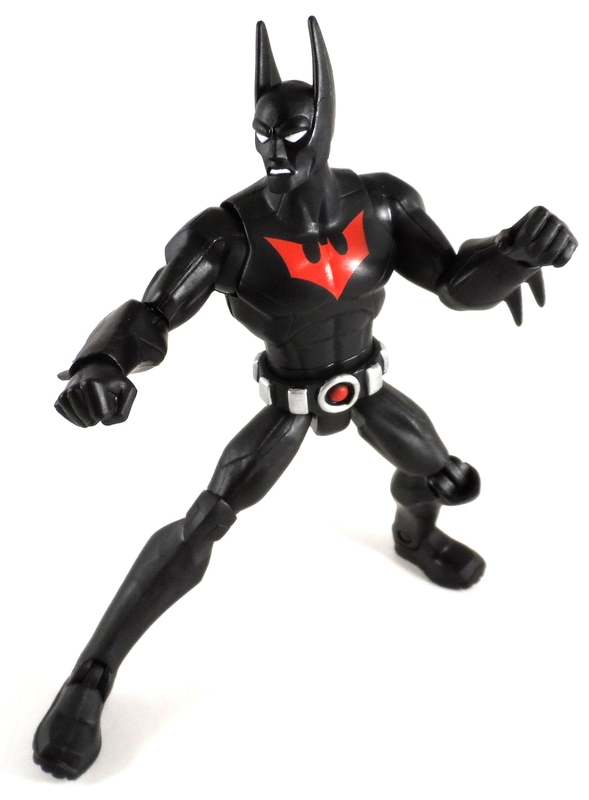 Total Heroes Ultra Batman Beyond is well worth the money (even with the week and a half wait for Mattel’s postal company to get the figure to you) Like I mentioned previously I would have liked to see a few more personalized accessories, but that’s the only significant issues I have with the figure. It’s a solid figure with a great likeness of the character. The added accessories give a nice dimension to the figure and I plan on using that extra Bruce Wayne head to make up a custom to direct my Terry figure in his adventures.